Adjust Your Pace For Higher Temps | Run S.M.A.R.T. What effect does 80 degrees have on my easy run effort? Now that we’ve launched Jack Daniels’ Running Calculator everyone should be training at the right pace, including when temperatures are high! Plug in your most recent race result (preferably within the last 6 weeks) or an honest estimate of what you could run for a particular distance, calculate and then select the training tab. If it’s hot out you’ll need to make an adjustment so you’re effort stays the same. This is very important, especially if you’re recovering from a hard workout or have a race coming up. Keep easy days easy so you recover and get more out of your future quality days. Select “advanced features” and add in the temperature, now calculate. And it works for races too! 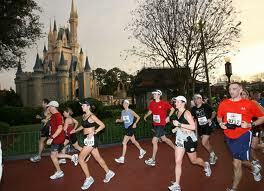 This weekend we have many clients running the Disney World Marathon and it’s forecasted to be 70 degrees during the race, which is not ideal. If your goal is to run 3:45 (8:34 per mile) at Disney this year and it’s going to be about 70 for most of the race Jack’s calc estimates the same effort will be about 8.7 seconds per mile slower or 8:43 per mile. This is huge for pacing early on because if you go out at the same pace and the temperature is causing that pace to be a much higher effort you can really pay the price later in the marathon. What’s your pace? Calculate now! Jack Daniels’ Running Calculator – Learn your race and training paces, factor in wind, temp or altitude.